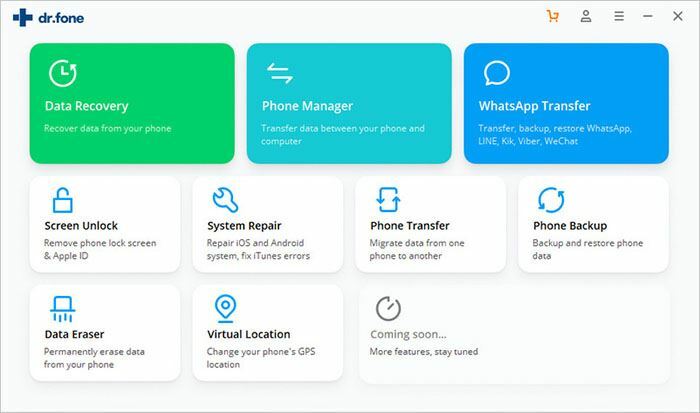 Every Android device owner wants their personal information protected from ruin or deletion by accidental mishandling of the phone. This is why a lock screen pattern, or other screen locking mechanism is important. But what if the owner himself/herself couldn't access their device because they forgot it or by any other reason? Horrible feeling, isn't it? And this is why we have come with solutions to this problem. In this article, we'll provide 7 different ways to remove pattern lock on Android phone or tablet. You can compare them and decide which one is better according to your own needs. 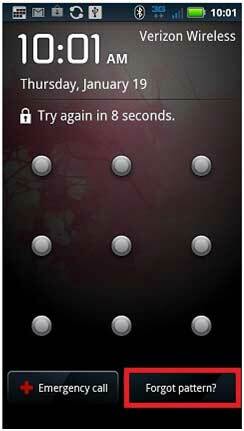 To unlock Android pattern password, the tool which is required here is iSkysoft Toolbox – Android Lock Screen Removal. This program is an amazing lock screen remover which helps the users in clearing their lock screens without altering any data. Plus, it not only remove pattern lock from Android, but also bypass lock like PIN, password, fingerprint lock, etc. 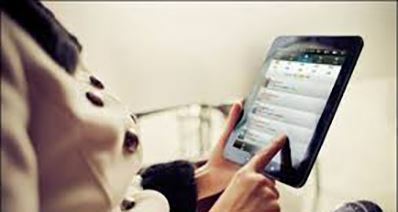 on Android phone or tablet without data losing. What's more, there is a benefit of a free trial comes with this tool. So you can take a free trial to check whether your device is supported or not. Remove 4 types of lock screen like pattern, PIN, password, or even fingerprint with just one click. Privacy and data will be fully secured while using this tool and no data losing during the unlocking process. No requirement of professional technical skills for every users. 100% safe and easy to use. 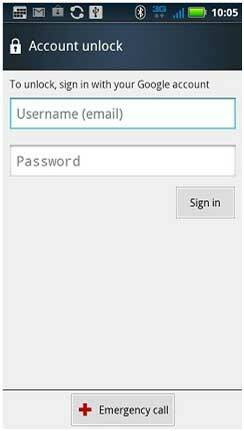 Tutorial on How to Remove Pattern Password from Android using iSkysoft Toolbox? The initial step to be taken is to download iSkysoft Toolbox – Android Lock Screen Removal from here in your PC. Install and launch it afterwards. When you'll launch, an interface will come with options as shown in the image. All you need to do is to click on "Lock Screen Removal". Now, connect the device to your computer using a USB cable and you'll see an interface that require you to select the detailed info about your device, like brand, phone name, model, etc. Just choose the right one according to your own device, and hit "Next". Now, a pop-up window will appear, and you need to comfirm the settings in the above step by typing "Confirm" in the blank area. Now, proceed to enter the download mode by following the steps given below. Secondly, keep pressing "Power", "Volume Down" and "Home" buttons at the same time. And lastly, press "Volume Up" button and you will enter the download mode. The above step was important to perform because it will assist you in downloading the suitable recovery package for your device in this step. 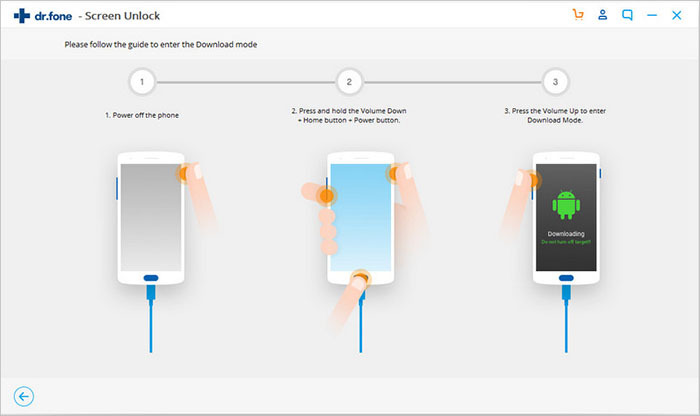 When you enter the download mode, the program will automatically get the recovery package and start the process of unlocking Android pattern lock. You only need to wait until your phone is rebooted. How to Bypass Android Pattern Lock on Android with Google Account? A yet another way to bypass your screen pattern lock is via Google Account. Yes, with the help of a preconfigured Google account to your device, you can easily crack pattern lock on And and without any data loss. Sounds good, right? But there is a problem, this method only works on the devices with Android version 4.4 or lower. 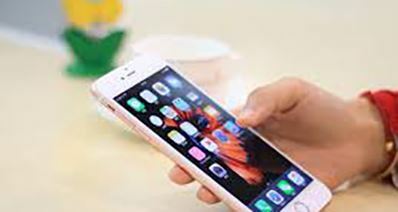 Now, check your device's OS and make sure that your device must have an active wireless or cellular data connection. Step 1: Make any random attempts on your screen pattern for 5 times. This will trigger to "Forgot Pattern" button visible on the screen. Hit the "Forgot Pattern" button when you see it. Step 2: From the upcoming window, you will be asked to punch in the credentials of your Google Account which is already configured with your device. Punch the details carefully and correctly. Lastly, hit "Sign in". 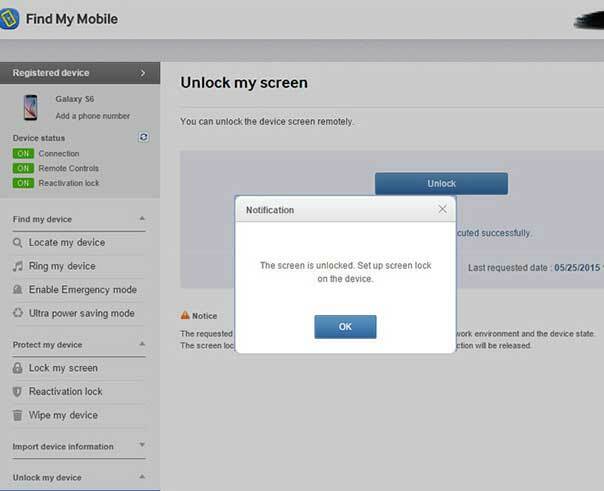 Your device will then validate the credentials and upon success, will reset the pattern screen lock enabling you to use your device normally. Interested in this method? Let's learn more info about how to unlock Android phone with or without Google Account. 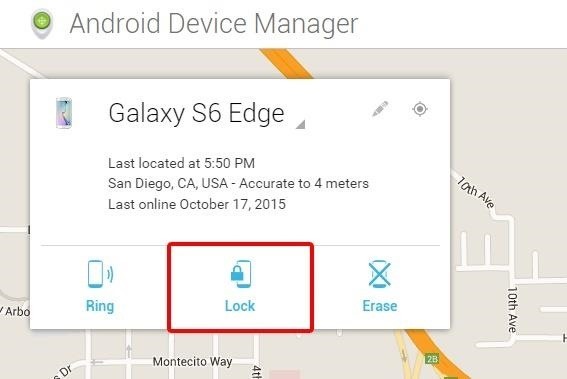 How to Break Pattern Lock on Android with ADM (Android Device Manager)? 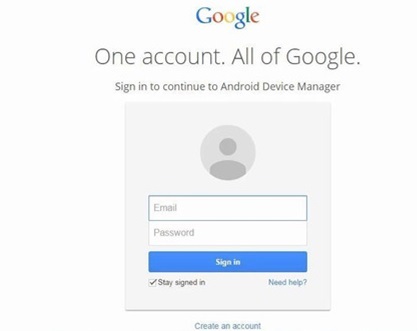 Step 1: Begin with http://www.google.com/android/devicemanager on PC and sign in with the Google account. It should be the same account which you use in the device that is presently locked. Step 2: Select your device and from the main interface, hit on "Lock" option. Step 3: As soon as you click, you will receive a pop-up window as shown in the image. This will prompt you to type in the new password to replace the pattern you forgot. Step 4: Now, confirm password by entering it again and then hit the "Lock" button. In the end, take your device and type the same password you’ve entered just now. Within few minutes, you will be able to access your device. How to Unlock Android Pattern Lock with Find My Mobile App (Only Works for Samsung)? 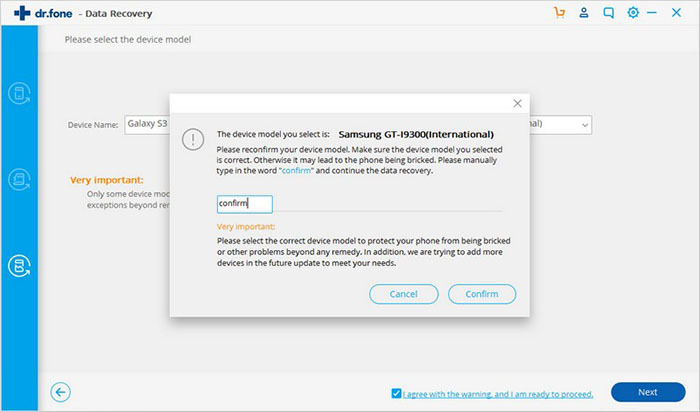 Find My Mobile is a service provided by Samsung to its users' comfort at situations when they are unable to find their mobile or forgotten their password or pattern lock and more. Let's now uncover the step guide tutorial about how to remove pattern lock on Samsung using the popular Samsung's Find My Mobile feature. Step 2: Now, locate the "Unlock my Device" tab in the left side-bar menu and hit on it. Step 3: The website will then try to communicate with your device via internet. Upon successful communication, you'll be able to notice a button that says "Unlock". Hit on it to remove the pattern lock of your device. Step 4: That's about it! 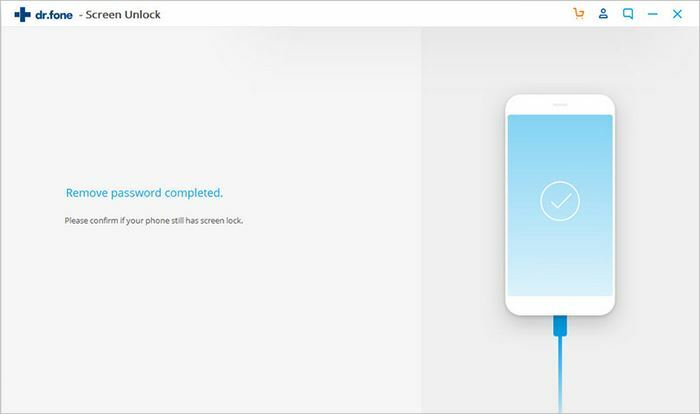 Your guide on how to hack Android pattern lock with Find My Mobile comes to an end and you can now access your device just like normal. How to Hack Pattern Lock on Android with ADB Command? 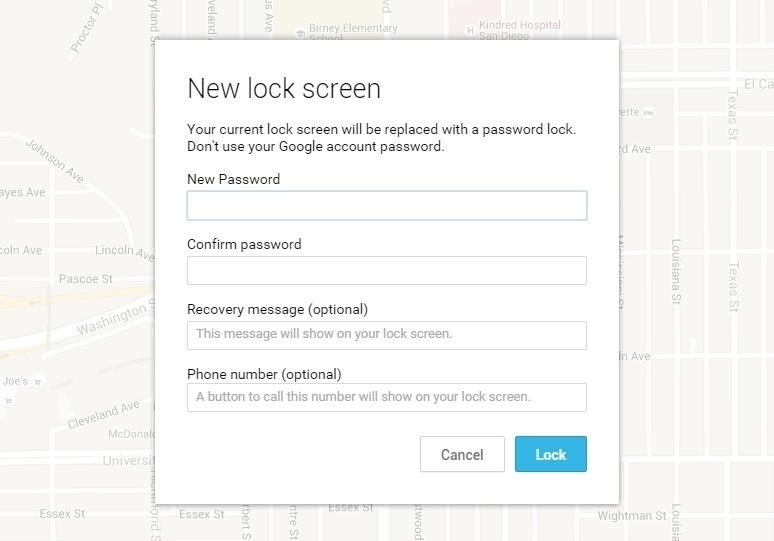 This could be the solution to your problem how to crack pattern lock in Android. If you are a bit tech savvy and understand the commands then this method is certainly be the easiest for you because a bit of coding is involved to get through the lock screen pattern of your Android device. Well, every method does have some sort of pre-requisites, right? And so is with this method as well. 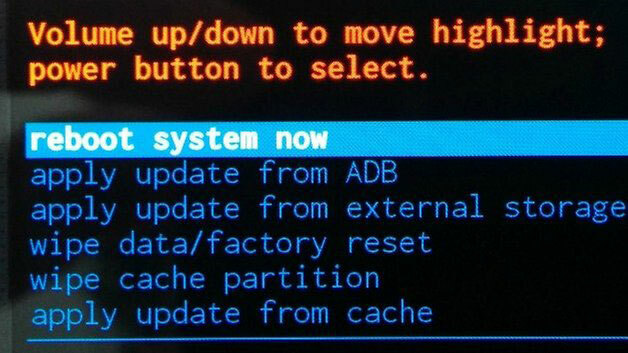 You must have "USB Debugging" enabled on your device and also, should have granted appropriate permissions to the PC with which you are going to connect your device and crack pattern lock via ADB. If you are able to meet these high requirements then this is going to be just a two step pattern lock breaker. Step 1: Start by connecting your Samsung smartphone to the PC using the data cable supplied with your device. Now, press and hold the "windows" key along with letter "R" and a "Run" box will pop on your screen. You can now let go the buttons and now punch in "cmd" in the text area available and push "OK". 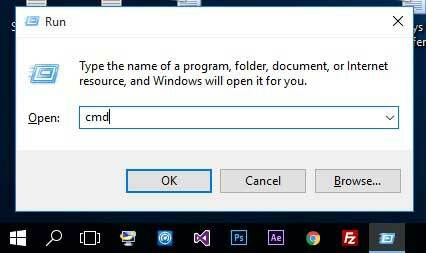 Step 2: Next, the Command Prompt window will come up and you now have to punch in a command in it. Make sure, the provided command is typed exactly the way it is and then hit "Enter" key on your keyboard. Step 3: Reboot your device and you'll notice your lock screen pattern is gone. But wait, it’s temporary, make sure to reset your pattern lock before rebooting your device again. How to Crack Android Screen Pattern Lock with Safe Mode Boot? 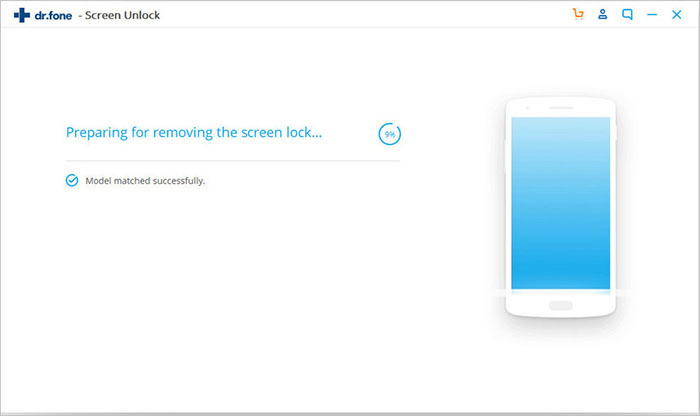 We have Safe Mode boot method to unlock the pattern screen lock of your device. But the only drawback of this app is that it works for third party lock screen apps only. 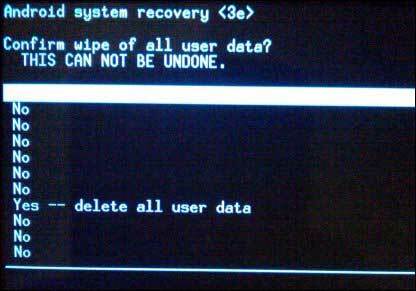 Here is how to boot into safe mode. Step 1: Hold down the Power key only, for a couple of seconds. 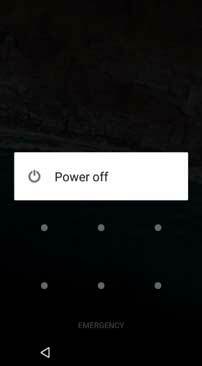 The Power menu will pop up on the screen, now push and hold the "Power Off" option. Step 2: A prompt will come up next asking you to boot up your device in safe mode. Push "OK" and let your device boot into safe mode. You'll notice your third party pattern lock screen app is disabled temporarily until you're in safe mode. Step 3: Now, either you can uninstall the third party lock screen app or reset its data and then reboot your device. The lock screen app will no longer be there. Enjoy! Most of the users find the first solution to the question "how to bypass or hack Android pattern lock" is factory reset. Well! They are not wrong but using this method you may end up losing your data. So, this method is useful is the stored is not so useful to you and you can afford losing it. Here is how to bypass pattern lock step guide. 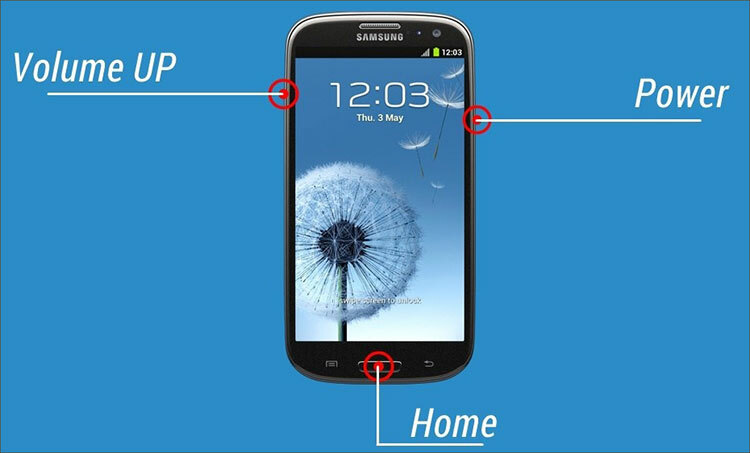 Step 1: Firstly, turn off your phone and press "Volume Up + Home + Power" buttons simultaneously to boot up your device. Keep pressing them until you get boot animation of device. Step 2: After this, you will receive some options from which you are required to choose "Wipe data/factory reset" with the help of volume buttons. Then, tap "Power" button to confirm. Step 3: In the last, pick "Delete all user data" option and click "Power" button once again. When finished, reboot your device. There are 7 ways to hack Android pattern lock by yourself, do you get them all? Or which one are you ready to try first? Or you have a choice in your mind? Please tell me your choice by leaving a quick comment in the below comment section. And if you ask me, I'll recommend iSkysoft Android Lock Removal for your referenece due to its easy to use and powerful functions. Below is the free download link and I really hope all of you can have a trial. 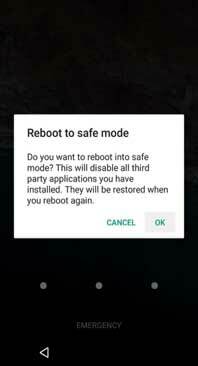 How to Reset/Recover Backup PIN on LG Phone?